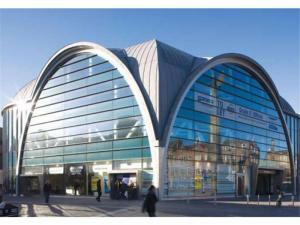 There is a broad choice of offices for sale in Newcastle upon Tyne to suit all business needs. It could be that all you need is a small office with handy car parking. Or maybe you'd prefer something larger in a prime location, either way, MOVEHUT is here to help you find the ideal office for sale in Newcastle upon Tyne. You will have a number of points to consider if you're planning to buy an office in Newcastle upon Tyne. Naturally, you'll want to be certain that the property falls within your budget. 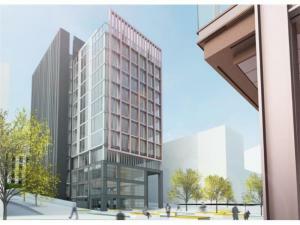 And it will help to establish the estimate of business rates for the office in Newcastle upon Tyne. Searching for an office is easy, but finding the perfect office in Newcastle upon Tyne can be difficult. Of course you'll want a well lit office, which will save you having to refit before moving in to Newcastle upon Tyne. To find a good office in Newcastle upon Tyne can require some planning, but with the help of MOVEHUT you can find that perfect office. If you're searching for office for sale in Newcastle upon Tyne, you'll find that prices can vary greatly, but with such a wide selection available you're sure to find something to match your budget. At MOVEHUT our commercial property to buy listings include office properties for sale in Newcastle upon Tyne at prices to suit all budgets ranging from as little as £50,000. Your property budget will ultimately define what you can get, but MOVEHUT will help you find the perfectly priced office in Newcastle upon Tyne. After you find your ideal office for sale in Newcastle upon Tyne, chances are you will want to put an offer on the commercial property. Of course when you make an offer to buy an office, you will need to submit it in writing, generally to the seller's marketing agent, for them to view. MOVEHUT is keen to help you find your perfect offices for sale, so why not make an offer on one of our excellent listed properties today. If you have found an office in Newcastle upon Tyne that interests you, it is advisable to arrange a viewing prior to buying. One key element is that your chosen office in Newcastle upon Tyne is in a suitable location, and is situated in the right area. Ideally, you want to confirm in person that all the facilities in any office property you view are working, like the water and the electricity. So by doing a few simple checks when viewing an office in Newcastle upon Tyne to buy, you can make your property search run much smoother.